Hosting the most diverse menu of performing arts in the Berkshires, Pittsfield's Colonial Theatre was lovingly restored through the efforts of a dedicated board, a forward looking city and a broad based community of citizens. There is always something interesting happening at the Colonial. The theatre has merged with Berkshire Theatre Festival to form Berkshire Theatre Group. The season commences with full staged musical that have included Tommy and Chorus Line and for 2013, Oklahoma. The 2019 program of Bwerkshire Theatre Group will occur at The Colonial Theatre in Pittsfield and on the Fitzpatrick Mainstage as well as Unicorn in Stockbridge. The season starts with previews of The Goat or, Who is Sylvia? by Edward Albee on May 24 in Stockbridge. 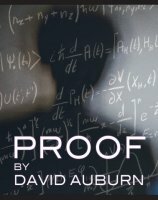 Combining mystery, surprise and old-fashioned storytelling in a compelling evening of theater, Proof, by David Auburn has won both the Tony Award for Best Play and the Pulitzer Prize. It is presented at Oldcastle Theatre Company in Bennington, Vermont. Upcoming events at the Colonial include, The Airplane Family & Friends with Live Dead ‘69 (10/27), $10 Music Garage: Subtleties (11/9), Upright Citizens Brigade (UCB) Touring Company (11/11), $5 Comedy Garage: Rojo Perez (at the Garage in the Colonial Theatre lobby 11/16), Ain't Wastin' Time: A Berkshire Tribute to Gregg Allman with Rev Tor's Steal Your Peach Band & Friends (11/30) and A Christmas Carol (12/9 through 12/22). From 9 AM to noon there was an ordely and peaceful demonstration in front of the Berkshire Museum in Pittsfield. Pickets came and went with between 40 and 80 individuals linuing the sidewalk at any given time. Most passing cars honked their support. There was a media presence. While museum director, Van Shields, remained hunkered down in the bunker, board president Elizabeth "Buzz" Hayes McGraw delivered her boilplate message to a TV crew from Albany. Berkshire Theatre Group announces additions to the fall and winter seasons, as well as casting for the Fall production of David Auburn’s Lost Lake at The Unicorn Theatre. Therde wlll also be a number of unique musical events at its Colonial Theatre in downtiown Pittsfield. When ethical concerns and second guessing of its "reboot" plans surfaced the Berkshire Museum has spent money it doesn't have for expensive PR and marketing. Heavy hitters have been hired to deflect tough questions from the media and flack the museum's strategy to sell 40 works of art and change its mandate. With their 1969 debut album the Allman Brothers, based in Macon, Georgia, launched the unique genre of Southern rock. On tour they were an immediate hit as an opening act at the Boston Tea Party. They were invited back for a later gig. The band opted to hang out rather than travel to home and back. They melded into the then emerging Boston music scene. Legendary lead guitarist, Duane Allman, died at 24 in I971. Now Gregg, the lead vocalist and keyboard player, has passed at 69 following several years of failing health. The Berkshire-based professional theatre company celebrates its eighth year with two Main Stage productions, a thought-provoking series of play readings, and several exciting new collaborations and initiatives 2.017 season explores a broad range of perspectives around issues affecting women and girls. BTG is expanding its 2017 summer festival offerings, including The Music Man and the Million Dollar Quartet, Arsenic and Old Lace, as well as two productions by playwrights, Edward Albee's At Home at the Zoo (Zoo story) and David Auburn's Lost Lake. Recently The Colonial Thatre in Pittsfield was the site for a packed gathering as a part of the national Women's March in protest of the extremist threats of President Donald Trump. The Colonial Theatre will be a part of the national Four Freedom's Rally on Saturday, January 28. Kate Maguire, the artistic director of the Berkshire Theatre Group, which includes the Colonial has taken a stand in activist resistance. There has been extensive media coverage of the First Annual Berkshire Theatre Awards. The winners of The Berkies have been announced. There will be an awards celebration 5 pm on November 13 at Mr. Finn’s Cabaret in Pittsfield. In this first round of awards Barrington Stage Company and Shakespeare & Company dominated in most categories. The smash hit Pirates of Penzance ran the table. The Larry Murray Award, named for the founder, will be the only suprise of the gathering of critics, media and theater mavens. A lot of theatre this season is feeding us heavy duty, pc, brain food. But for pure fun release and esape the best show in the Berkshires, Little Shop of Horrors, is presenting a hilarious musical comedy about a man eating plant which is chewing the scenery and devouring audiences at the Colonial Theatre. The Berkshire Theatre Group announces a full schedule of musicals, plays and performances at the Colonial Theatre in Pittsfield as well as its two stages in Stockbridge. The program includes events from June through October. As usual a musical, Little Shop of Horrors, opens at the Colonial just after the July 4th holiday weekend which launches high season in the Berkshires. In some of the most exciting and insightful productions and performances of the year there was a notable cross pollination and invention as vernacular street cultures and indigenous art forms conflated into high art. 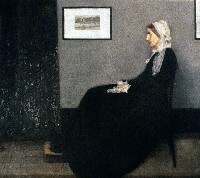 Classic works were not just revived but reinvented from the insight out. The best works of 2016 raised the bar through risk taking and challenging audiences. These rare experiences tend to make the majority of what we experience ordinary and enervating. In an era signified by ubiquitous standing ovations what is truly worthy of special recognition? Music at The Colonial Theatre includes, legendary reggae band, The Wailers (part of the 10X10 Upstreet Arts Festival); Grammy Award-winning pop/rock singer, songwriter, musician, Richard Marx; Grammy Award-winning Walking In Memphis singer, Marc Cohn and “the godfather of British blues,” John Mayall. Regarding Boston Theatre it is broke and time to fix it. This fall as one shoe after another dropped the Boston Theatre Community seemed to collapse like a house of cards. In 2004 through a partnership between Druker Development, Boston Center for the Arts and the Huntington Theatre Company the multi-stage Calderwood Pavilion was created in the South End. Is it possible that Huntington can swing a similar development to save, renovate and expand its antiquated facility? That's just a part of dramatic changes for the city. A Confederacy of Dunces was published in 1980 eleven years after John Kennedy Toole's suicide. Recently the creative team- adapter Jeffrey Hatcher, director David Esbjornson, and actor Nick Offerman- met with the media to discuss the production for Boston's Huntington Theatre Company. The comedy will run from November 11 through December 13. Strauss's early operatic masterpiece follows its Greek model closely to reveal the neurosis at the heart of modern life. Andris Nelsons led a white-hot BSO performance of a lurid, fin-de-siecle masterpiece. The cast, led by Christine Goerke, Jane Henschel and Gun-Brit Barkmin, was stellar. If bad luck comes in threes what's next for the Boston theatre community. Today we have reported on the break up of a 33-year-old relationship between the Huntington Theatre Company and Boston University. Now we report news the Emerson College, the owner of the 115-year-old Colonial Theatre has plans to convert it into a student center. These developments were predicted several years ago by then NEA chair Rocco Landesman. As he suggests, here in the Berkshires, there are too many arts organizations pursuing the same limited potential donors. The terrific husband and wife team of Kate Baldwin and Graham Rowat star in a revival of the 1950s musical Bells are Ringing. 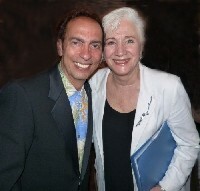 It brings star power to the Colonial in Pittsfield to July 26. Now in his final weeks as director of the Clark Art Institute Michael Conforti hosted a media event promoting a blockbuster season for Northern Berkshire County. There were presentations by Joe Thompson for Mass MoCA, Tina Olsen for the Williams College Museum of Art, and Mandy Greenfield for the Williamstown Theatre Festival. Notably absent from the media event were North Adams based arts presenters Downstreet, The Eclipse Mill Gallery, The Rudd Museum of Art and the fall annual Williamstown Film Festival. In the third and final installment of an interview with Tony Simotes he describes the epiphany and divine intervention that resulted with leaving Shakespeare & Company and beginning what he calls act two with Berkshire Theatre Group. Having overcome personal and family adversity he views each day as a gift and the opportunity to have a positive impact in theatre and the cultural community of the Berkshires. The contract with Milliken University was due to arrive when Kate Maguire called and asked Tony Simotes to meet for breakfast. 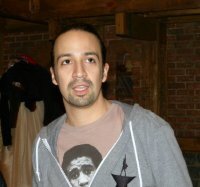 Racing against the clock and making phone calls she offered him a job as second in commend at Berkshire Theatre Group. Then Tony and Lucy faced the tough decision of turning down tenure, benefits and security to take another challenging but risky job in theatre. 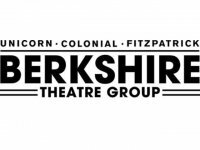 The Berkshire Theatre group announces shows at the Unicorn in Stockbridge and the Colonial in Pittsfield. There are world premieres included.